After training as a dancer for many years, Josh started acting in high school and hasn't stopped since. (Except for when he moved to Asia for three years and stopped.) He's very excited to be working with friends new and old at Shakespeare Bash'd. He most recently played Kurtz in Dark Matter (dir: Alec Toller) and a whole bunch of people in Macbeth, R&J, Hamlet, & Twelfth Night for CTP. Other Theatre: Mercutio; Hart House (dir: Jeremy Hutton). Tybalt; Theatre By The Bay (dir: Alex Dault). nightmareDREAM; IFT Theatre. (dir: Mumbi Tindyebwa Otu). Carly is an actor, director and producer. The last time she was in Love’s Labour’s Lost she was really only in the first half, so she’s pretty stoked to find out what happens in the second half this time. Selected acting credits include: Isabella in Measure for Measure, Adrianna in Comedy of Errors, Olivia in Twelfth Night, Portia in Julius Caesar, Second Sister in Macbeth and Jacquenetta in Love’s Labour’s Lost (Shakespeare By The Sea), Helena in A Midsummer Night’s Dream and Portia in Julius Caesar (Hart House Theatre), Margaret in Much Ado About Nothing (Canopy Theatre). Directing credits include: GB Shaw’s Overruled & Neil LaBute’s Romance, Caryl Churchill’s Vinegar Tom (Neoteny Theatre), and Ann-Marie MacDonald’s Goodnight Desdemona (Good Morning Juliet) (Hart House Theatre). As assistant director: Robin Hood: The Legendary Musical Comedy (Hart House Theatre), A Midsummer Night’s Dream (Driftwood Theatre). A graduate of The University of Windsor’s BFA Acting Program, Carly is Artistic Producer of Neoteny Theatre and Outreach Coordinator for Driftwood Theatre. Upcoming: Carly will be heading to Montreal this fall to join The National Theatre School's Directing Program. Sheelagh Darling is a Toronto based actor classically trained at the University of Windsor, currently breaking into film and television roles in her native Canada. Sheelagh splits her time between Toronto and New York City where she trained with renowned acting coach Lindy Davies. She's looking forward to the release of her series of short films with her production company Rain Boots & Bare Legs Productions. Christopher is delighted to be making his debut with Shakespeare BASH'd. Past credits include Humber River Shakespeare (As You Like It; Twelfth Night), Nobody's Business Theatre (Scheherazade), Left Foot First Productions (In Pink), Crate Productions (The Fort at York), Theatre New Brunswick (Smokescreen; For Art's Sake; The Lion, the Witch, and the Wardrobe), Classical Theatre Project (Romeo and Juliet; Othello). Christopher is a graduate of the Ryerson Theatre School. Andrew Gaboury is a playwright, performer and co-artistic director with hub14. Andrew produces his own work, and that of others with a field of crowns. Andrew is training in the art of clown with Helen Donnelly and mask with Rob Faust. Credits: The Toronto Festival of Clowns (2013 & 2014); The Foolish Cabaret (2012); Borachio in Much Ado About Nothing (Shakespeare BASH’d); Giles Ralston in The Mousetrap (Lower Ossington Theatre). David is filled with happiness and joy as he starts work with Wally, Robbie and the beautiful team of artists on Love’s Labour’s Lost. Past Shakespeare Bash’d productions include : Capulet - Romeo and Juliet; Don Pedro - Much Ado About Nothing; Grumio, Vincentio - Taming of the Shrew. Other credits include : Richard III (Shakespeare in the Ruff); Brave Hearts (Harry Warren Theatre, Brooklyn); Waiting for Godot; I Had a Job I Liked. Once. (Sudbury Theatre Centre); Wild Abandon (Theatre Caravel); Romeo & Juliet (Signing the Bard, Kennedy Cathy MacKinnon); Frankie & Johnny (Apuka Theatre); Half Life; Two Gentlemen of Verona; As You Like It (Brampton Theatre Festival); King Lear (Hart House); Macbeth (Classical Theatre Project). After leaving his engineering career and his hometown Mennonite community David trained in the University of Windsor’s BFA Acting Program. As always, he would like to thank his family and friends for their support of his wonderful career ! Love’s Labour’s Lost is Jeff’s first show with Shakespeare BASH’D, and it’s been an absolute pleasure. He is so grateful to have had the opportunity to explore this play with this group of people. Past credits include SHREW (Red One Theatre Collective), Were Lovers (Rarely Pure Theatre), Macbeth, R&J, Twelfth Night, Huckleberry Finn, The Complete Works of William Shakespeare Abridged (Classical Theatre Project), And most recently in the staged reading The Empire Striketh Back (Red One Theatre Collective) as Han Solo (Harrison Ford badge on my ultimate fantasy sash). Once again, it has been an absolute pleasure to laugh, play, discover, invent, and discuss this world with the cast and crew. So please, grab a drink, and enjoy the show. Jeff is a graduate of the University of Windsor, which also happens to be his hometown. Thank you to every one of my friends, family and Anna for their support. Rob Kraszewski is a Toronto based cultural entrepreneur. Joining Shakespeare BASH'd in the Spring of 2012, Rob produced the sold out Fringe Festival hit, The Taming of the Shrew, and came back to do it all again in 2013 with Much Ado About Nothing. A fan of all kinds of art forms, Rob spends his days working with the Executive team at the Toronto International Film Festival, where he works closely with the CEO, Executive Director and COO, CFO, and Board of Directors. Working with the Executive Team, Rob has developed a keen sense for arts management, and loves applying this knowledge to his work with Shakespeare BASH'd. This is David’s third production with Shakespeare BASH’d, having appeared previously in Romeo & Juliet and The Taming of the Shrew. His most recent credits include Cold Comfort (Fly on the Wall Theatre/Toronto Fringe), for which he was cited for "Outstanding Performance" by NOW Magazine, and Ruby in the Dust (Staged Reading/Stratford SpringWorks Festival). Other credits include Inge Snapshots (The Remnants), After the Fall (Equity Showcase), The Weir (MacKenzieRo), Aftershock (SummerWorks), Rosencrantz and Guildenstern are Dead (Touchmark Theatre), Half Life (Rose Theatre), and The Good Thief (MacKenzieRo). In the United States, he has appeared Off-Broadway with the Tony-nominated Willow Cabin Theatre Company, and with TheatreWorks/USA, Kentucky Repertory Theatre, Pulse Theatre Ensemble and The Arts Trust. David is a graduate of Circle in the Square Theatre School (NYC) and completed his Classical Theatre Training at London's Royal Academy of Dramatic Art. Suzette McCanny has been watching Shakespeare Bash'd shows with glee for years; working with them for the first time this year is a dream. Past Toronto Fringe Credits include Bernice in Bus Riley's Back in Town, and Oppenhiemer in Bloom (Named Best Ensemble in NOW). Recently she played Isabelle in Norman Young's Theory (Alumnae Theatre), Miss Cornelia Scott in Something Unpoken (The Playwright Project), Cassandra in The Trojan Women (Alumnae Theatre) and Benvolio in Romeo and Juliet (The Rose Theatre). Suzette is looking forward to the release of a trio of short films which she is directing, producing and acting in this summer with her production company rainbootsandbarelegs productions. You can find her on twitter: ﻿@suzettemccanny﻿. Jesse was born and raised in Montréal, Québec. For Shakespeare Bash'd: Don John in Much Ado About Nothing. Selected Theatre Elsewhere: Romeo & Juliet (Citadel Theatre); Journey's End (The Empty Room); The one-man show The SantaLand Diaries (L'il Frosty Co-op); Alan Strang in Equus (Hart House); Mary's Wedding (Brantbury Fair Co-op); Can I Really...? (Teatron/Toronto Centre for the Arts); Reefer Madness (Lower Ossington); Thumb (Prague Fringe); Bent (Theatre Engine); Serious Money (RTS/Nightwood dir. Eda Holmes). Film and TV Credits include: Warehouse 13 (SyFy Network), The Transporter (HBO Canada), Canadian Made and Storming Juno (History Television Canada). Voice-over work includes a role on the CBC Radio Drama Trust, INC. as well as the main voice of the educational website ﻿tropicmind.com﻿. Jesse is a graduate of the Ryerson Theatre School and was a 2014 participant in the Citadel/Banff Professional Theatre Program. Julia is a Toronto based Actor and producer, currently acting as the Artistic Producer of Theatre Caravel, where she co-curates the company’s popular new-works event, Sea Change and producing for the award-winning Shakespeare company, Shakespeare BASH’d. For the past two years she has worked as the Managing Director of Theatre Columbus and is now part of the team at The Theatre Centre, as the Box Office & Front of House Manager. As an actor, Julia recently performed the title roles in Daniel MacIvor’s See Bob Run (Theatre Caravel), and 2012 Best of Fringe winner The Taming of the Shrew (Shakespeare BASH’d), as well as the appearing in the critically acclaimed 2013 Shakespeare BASH'd productions of Much Ado About Nothing and Romeo and Juliet. She is a member of the Advisory Board for the Canadian Stage GYM program and a graduate of the joint acting program at UofT and Sheridan College. 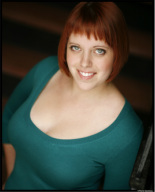 For more info on her work, visit ﻿www.TheatreCaravel.com﻿. (Summerworks 2011), Quinn in Aftershock (Summerwork 2010), Ruth Golden in Soﬁa Town (AﬁCan Theatre Ensemble), Shpresa in Underneath (Summerworks 2009). Catherine is a graduate of George Brown Theatre School. Hallie Seline is a Montreal/Toronto-based actor and is thrilled to re-join the fine folks of Shakespeare BASH’d in Love's Labour's Lost. Her most recent credits include Romeo and Juliet (Juliet, Shakespeare BASH'd), Mayday (Season 13, Cineflix), Oliver! (Artful Dodger, Port Hope Festival Theatre), Under the Same Sun (Documentary - Skin Deep Productions) and Mr. Marmalade (Fly By Night Theatre). Hallie is a graduate of the joint Acting, Theatre & Drama Studies program at Sheridan College and the University of Toronto and is also the Co-Founder and Editor in Chief of ﻿inthegreenroom.ca﻿, a Toronto theatre website dedicated to be “a space for artists to connect off stage”. ﻿James is a native of Newmarket, Ontario. He cut his teeth at Resurgence Theatre Company in Newmarket beginning as a teenager, where he performed in Romeo and Juliet, Love’s Labour’s Lost, and Measure for Measure. This began his professional love of Shakespeare, which has endured throughout his career. He was able to return again to Resurgence years later to play Benvolio in a production of Romeo and Juliet, directed by his good friend and mentor Lee Wilson, in 2009.